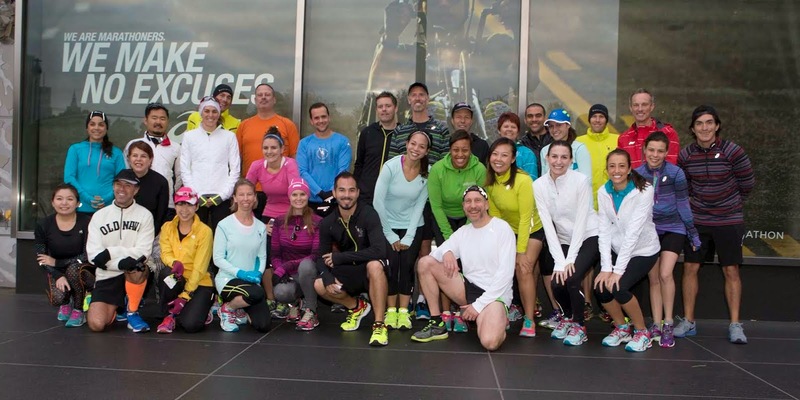 Prior to running the NYC Marathon on Sunday, the ASICS blogger team joined a group of media, professional athletes for a shake out run in Central Park, followed by breakfast. 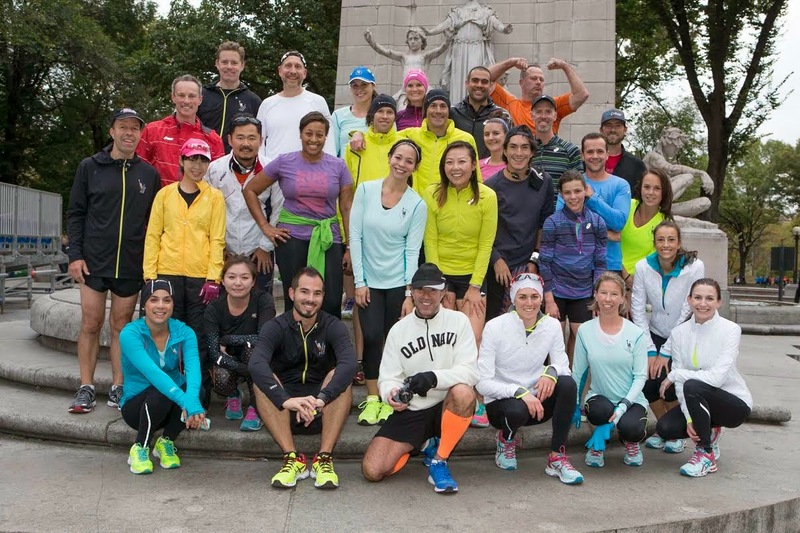 The shakeout run was hosted by ASICS and lead by Coach Andrew Kastor, who I had the pleasure of being coached by prior to the Marathon. I will be the first to admit - my nerves were out of control for the shakeout run. I was by far the slowest of the Team ASICS bloggers and I get intimidated easily. Instead of having nerves for Sunday's 26.2, I was freaking out about the thought of running a 5K with pro's and thought I was going to die during the process. And we're off. It was a cold morning, especially for this FL girl. I was absolutely the one wearing the most layers - and was teased often about it. Thank goodness for the super cute ASICS cool weather running gear that I was provided with. They kept the pace slow which was good for turtles like myself. We took a quick stop at the TCS NYC Marathon, re-imagined finish line so Coach Castor could give us some advice when we crossed the finish line on Sunday, including how to pose for photos. I got giddy when I saw the finish line up close. We were only 2 days away from the race and the excitement kicked into full gear. 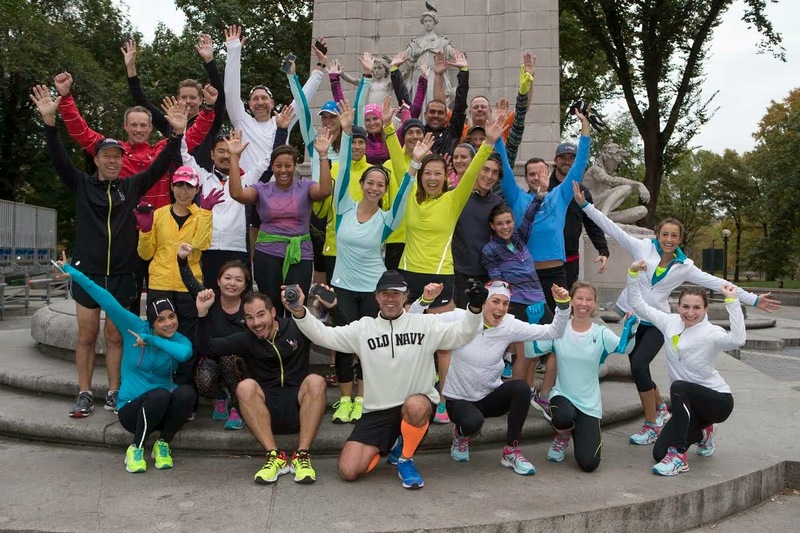 We looped around Central Park and headed back to Columbus Circle to take another group photo. If you look closely, you will notice Ryan Hall and Andy Potts in front of me. I was completely geeking out. The ASICS blogger team grabbed a quick group shot. From L-R, Chris (runrunlive.com), Grace (leangirlsclub.com), Megan L (runlikeagrl.com), Bryan (pavementrunner.com) and me! We were down a man, Greg (nycsweat.com) who sadly broke his big toe the week before. I absoutley adored every one of these people and am proud to call them my friends. After the run, we headed for breakfast and to hear tips from the pro's. On the left: Andy Potts, who came in 4th place at Iron Man Kona a few weeks ago. His tip to us was to finding your inspiration - run for those who inspire you. 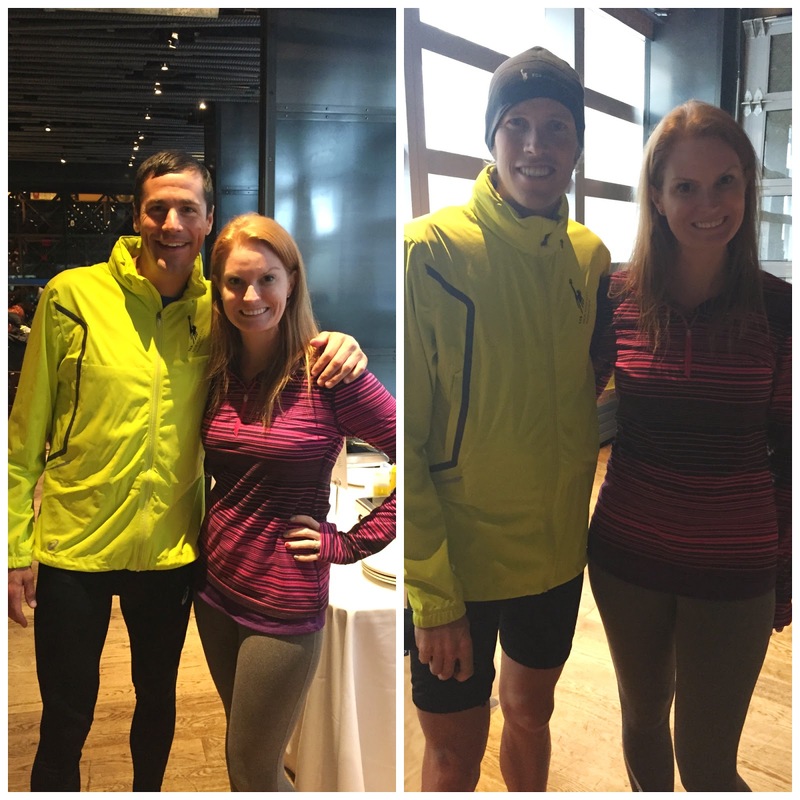 On the right: Ryan Hall, who holds the U.S. record in the half marathon (59:43) and was the first U.S. runner to break the 13.1 mile one hour barrier. His advice to us was the concept of thankfulness - be thankful on both good and bad training/racing days. Both of these guys are so talented and down to earth. I had to pinch myself a few times to make sure I wasn't dreaming. After breakfast, we got a visit from Deena Kastor who holds American records in the marathon, half-marathon, and numerous road distances. She also won the bronze medal at the 2004 Olympics in Athens, Greece for the women's marathon. Deena told us to remember to smile. Meeting both Deena and her husband Andrew was so inspiring. It was the perfect start to what turned into an epic weekend. I also didn't die running with the pro's. What a great experience, once you will never forget I am sure! !